Three weeks ago on IMPACT WRESTLING, Hulk Hogan gave Austin Aries a choice: To receive a World Title Match at Destination X on July 8, he must relinquish the X-Division Championship. Austin Aries’ counter-proposal to Hogan was “Option C”; that every year at Destination X, the X-Division Champion be given the same World Title Match option. With Austin Aries deciding to take the gamble, a new X-Division champion must be crowned. Announced this week, the new X-Division Champion will be determined in a one-night tournament at Destination X. This tournament will feature current X-Division stars battling wrestlers from outside IMPACT WRESTLING. 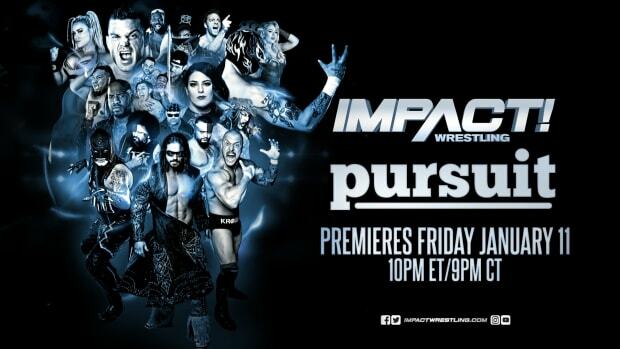 Qualifying matches for the outside wrestlers started this past Thursday on IMPACT WRESTLING on Spike TV and continue on the July 5th edition. At Destination X, eight wrestlers will battle in four single matches in the opening round of the tournament. The four winners will advance to the championship match that evening where the X-Division title will hang in the balance in ULTIMATE X! Ultimate X is a match unique to the X-Division and features the most death defying moves and moments ever captured inside and above a wrestling ring. Now, with the added value to the X-Division Championship, these brave athletes will do whatever it takes to start their road to destiny; a potential World Championship match at next year’s Destination X!